Anyone can post articles or comments. You can comment anonymously or with an alias. Your identification and/or email address is not revealed. All comments are moderated to weed out spam. 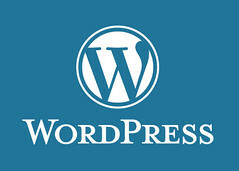 To post articles directly, a viewer needs to have a WordPress ID. Contact us directly at Ray@HOAPerspectives.com. We value your questions and comments. They are our motivation to continue building this site. We absolutely love your blog and find nearly all of your post’s to be exactly what I’m looking for. Can you offer guest writers to write content in your case? I wouldn’t mind writing a post or elaborating on most of the subjects you write in relation to here. Again, awesome web site! Posts from individuals are welcome. See the above comments. jctadmin. Admin comment: The design of the theme is a standard WordPress theme with my header photo uploaded. Question: My HOA Board of Directors insists that it may engage in online discussion and voting regarding Association business so long as the voting is unanimous. I maintain that 33-1804 mandates that meetings be conducted openly with members being given an opportunity to speak. There is a conflict between the Planned Community open meeting statute and the Nonprofit Corporation “action without a meeting” statute. Before bringing an action I would like to review the legislative history of both, but he AZ government website provides only the statute, with no reference to its legislative history. Is there a free public source for this information? Thank you. Do HOA Board members in Arizona have a reasonable expectation of privacy? Because they are seated on the Board, can their contact information be posted on an unofficial Facebook community page? I live in an HOA in Florida. We are trying at this time to bring charges against our Board Members. The treasure is a felon and over the last 5 yrs has been on the board. He owns 30 or more properties within the community and he has ripped a lot of people off. We are now working with a paralegal and awaiting his research on the info the community has given him. We have tried to talk with the management company but they continue to turn the other way. Is there a website for Fl. whistleblower?